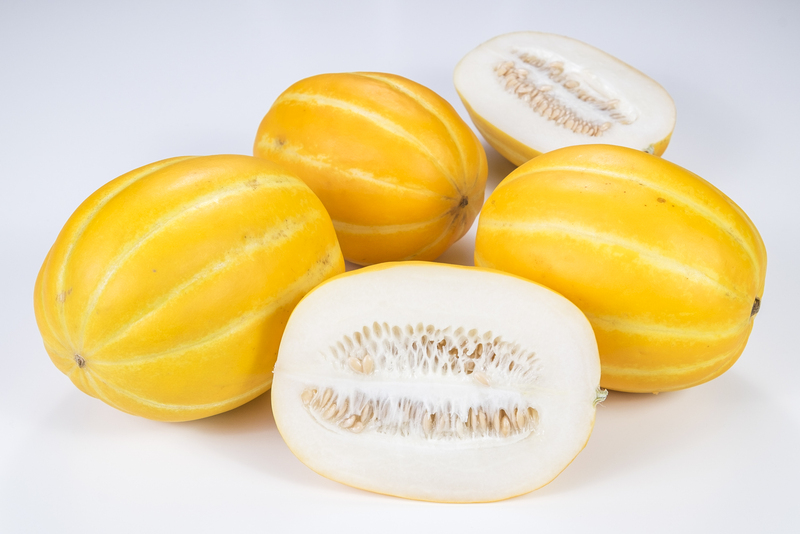 The Korean Melon is a refreshing and sweet melon similar to a Honeydew Melon and is best for out-of-hand eating. One of many varieties of sweet and floral tasting melons with a firm-juicy texture. Can also be used for a cold dessert soup, fruit dish, Prosciutto And Melon or salad. Underripe Korean melons can be pickled. .